..BCWD resumes water service disconnection activity. 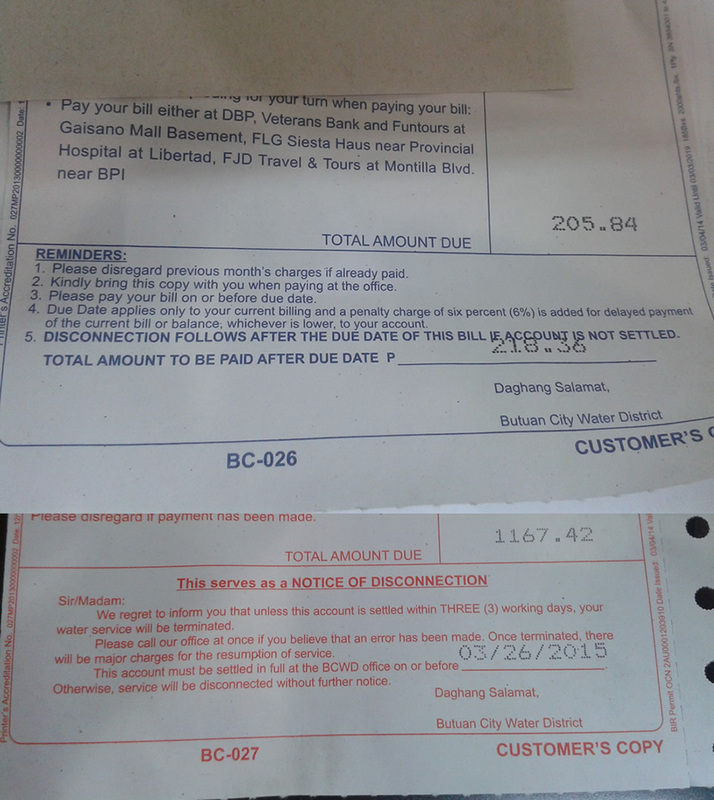 Reminds concessionaires to pay on or before due date..
Butuan City Water District (BCWD) resumed its water service disconnection activity last March 16, 2015 after more than two months of suspension due to the water crisis caused by the damage brought about by Tropical Storm Seniang. BCWD is reminding concessionaires to pay their water bill promptly to avoid the inconvenience of having their water service disconnected. Reminders are indicated in the water bill; hence, there is no reason for the concessionaires to forget the payment due date. There are two (2) types of water bill – the blue and red water bills. It is clearly provided for in the contract that BCWD may disconnect the water service connection without notifying the concessionaire if account is not settled on or before due date, especially if the account is already in the red bill.